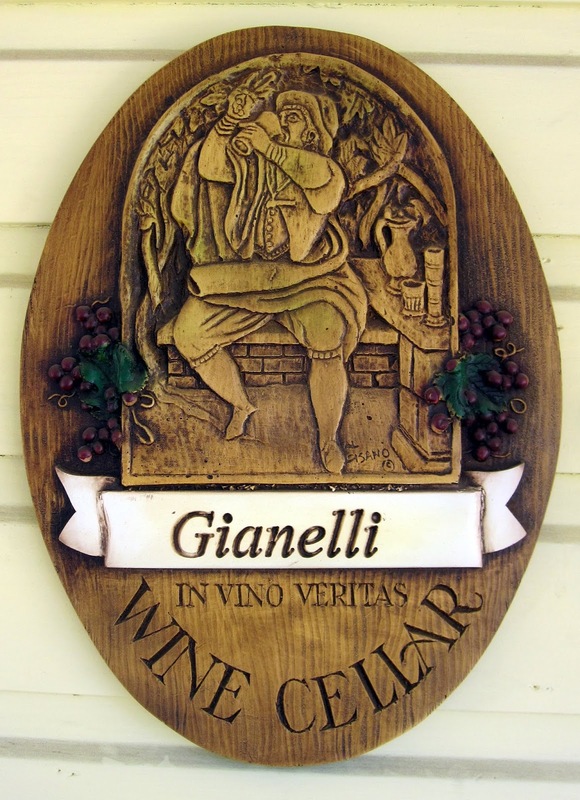 Gianelli Vineyards in Jamestown, California, is an island for Italy in the heart of gold country. 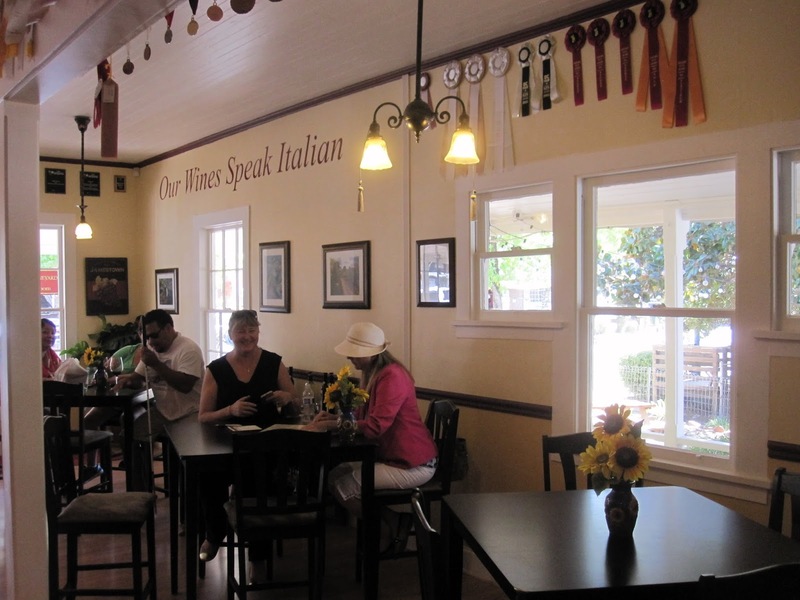 The grape varietals are Italian, the wines have strong Italian influences, you would not be surprised to hear Italian spoken in the tasting room! Our visit proved that the GPS can be ignored. Trust your palate, this is the best of Italy, right there in your glass! 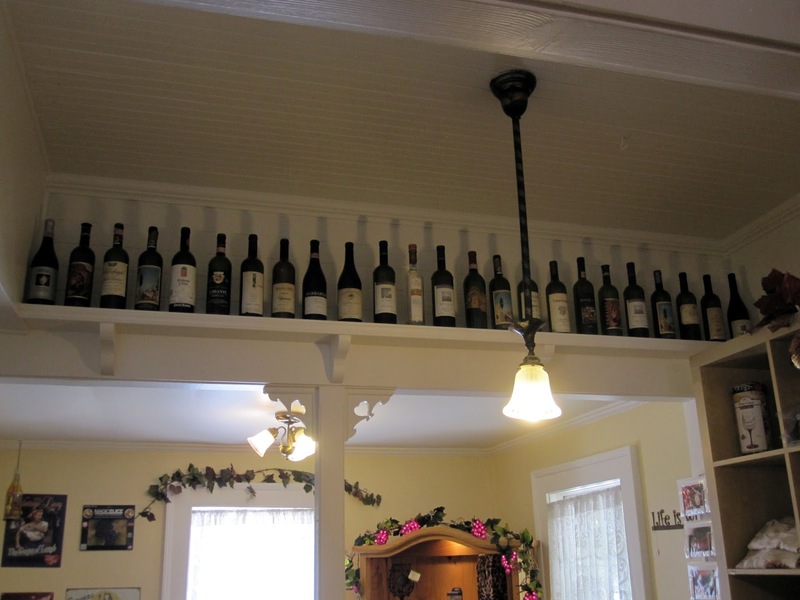 Fresh off our visit to the Inner Sanctum Cellars tasting room, we made our way to the Gianelli Vineyards tasting room, via about a dozen antique stores. OK, opinions may vary as to exactly how many antique stores were visited, but the list seemed endless to certain participants. At long last (to me) we made it to the porch of a sunshine-yellow tasting room that was bright and cheerful, even from the outside. 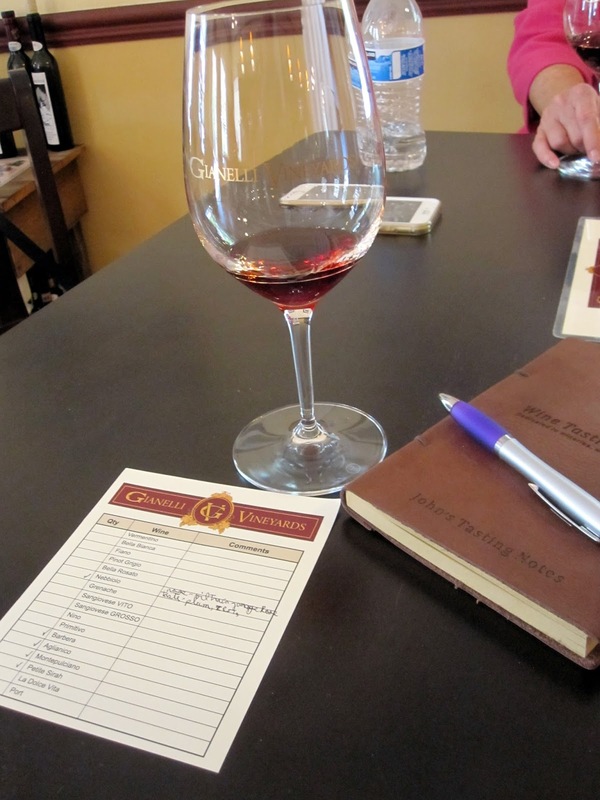 To our delight, the tasting room featured four-top tables for seated tastings. Their approach to a tasting experience was straight-forward: just select any five tastes from their list of seventeen wines. Judi and I shared a glass, as did Laura and Bill, so we had a chance to explore more than half of their inventory. We chose a table and set about choosing our wines, using strategy and science. OK, we really chose based on wines that we typically enjoyed and let the chips fall where they might. We started with their 2010 Nebbiolo. This wine had a unique redish-brown color and an amazing aroma. This wine could get along based on its nose alone, but it had fun notes of plum, cherry and lemon zest. An ideal wine for sipping along with some hard cheese or kalamata olives. We pressed onto the 2012 Barbera, with balanced tannins and just the right amount of acid for a clean, crisp finish. At this point we learned from the tasting room staff that all of their wines are from estate-grown grapes, which earns extra points from us. Buying grapes is fine, and very necessary for large producers, but the extra level of care and craftsmanship in estate wines can pay dividends. Up next was their 2011 Aglianico. Hard to pronounce, but fun to taste. I ran out of wine before I mastered applying the emphasis to the proper syllable. This wine had a very faint aroma and tasted of elderberries and blackberries, with a very dry finish. A favorite at our table. Their 2011 Montepulciano was next. We first tasted this grape at Ayrael Vieux, so we had high expectations for this wine. We loved the herbaceous aromas and mid-tart flavor, reminiscent of sour cherries. Lovers of Napa Merlot would adore this wine. We certainly did, bestowing the coveted “best taste” award. 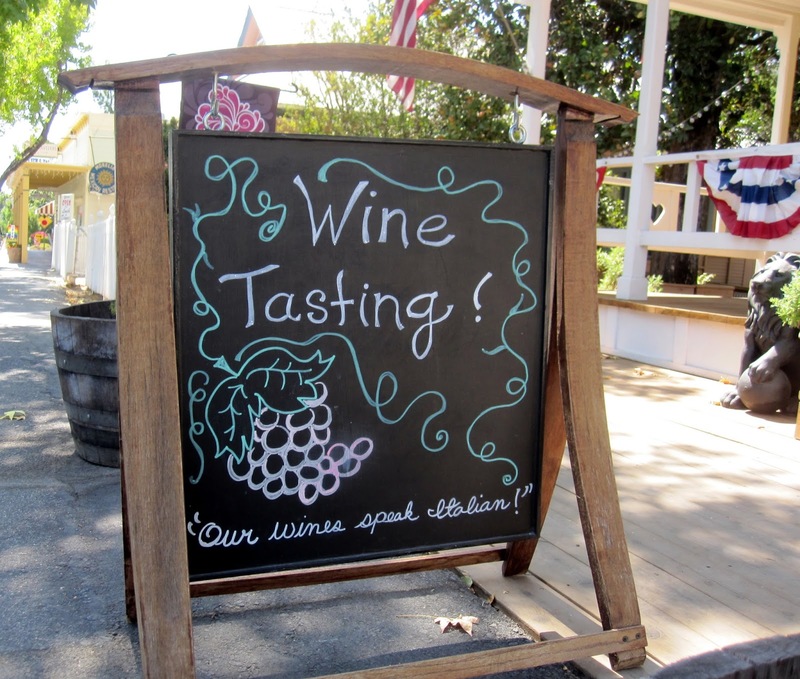 We wrapped up our tasting with their 2012 Petite Sirah, with bright blueberry notes and pepper, and a 2010 Dolcetto, super smooth and balanced with layers of stone fruit flavors. Our tummy timers were going off, announcing the looming need for some lunch, so we made our purchase decisions and said goodbye. We stepped out, leaping from Italy back to Jamestown. Until our next visit to Italy, I think Gianelli’s will do just fine! Have you visited Gianelli? Click to give'em a tweet of support!